Ethical Fashion : Primark Labels … Hoax? 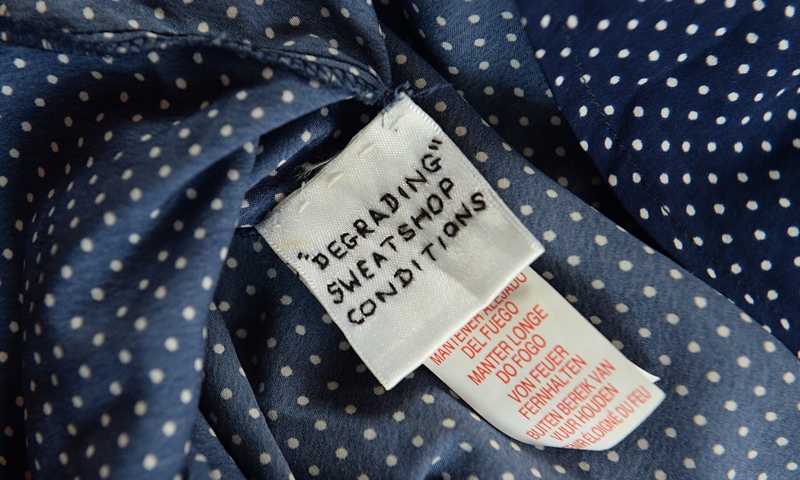 Unless you’ve been living under a rock, and if you’re UK based, you will have heard about the controversial labels claimed to have been found in items of Primark clothing. There was extensive news coverage at the time of the ‘discovery’ of these labels, and it’s fueled a lot of debates about the conscious of the fashion world. Claimed to be a “cry for help – to let us people in Britain know what is going on” the hand stitched claims were found in two separate garments bought in the UK. Primark of course sprung to action, and promised a full enquiry. But it’s already too late- the debate has begun. They’ve come out today to declare the labels a hoax but the conversation is ongoing, and most people seem almost certain of Primark’s guilt. But will shoppers put their money where their mouth is? It’s too early to say but it will certainly be interesting to see how this has affected Primark’s sales figures for this quarter and their (already fragile) reputation on the high street.